I don't have children, but I believe I've met some. And I think they might like some of the projects at Mr. Printables. 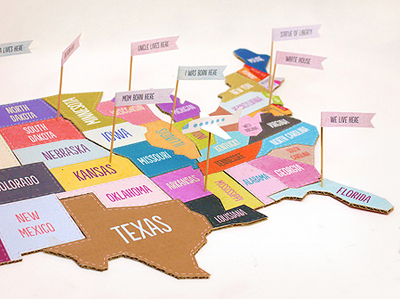 There are oodles of games to make, things to color, and crafts to assemble, including this US map jigsaw puzzle. 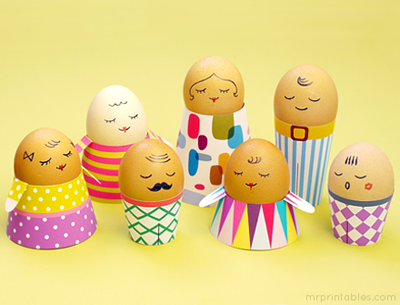 Or maybe these egg people— it's presented as an Easter craft, but summertime is perfect for deviled eggs when the people wear out their welcome. Parents, go investigate. You have read this article printable with the title Lots of printables for kids. You can bookmark this page URL http://jenkrebs.blogspot.com/2012/06/lots-of-printables-for-kids.html. Thanks! No comment for "Lots of printables for kids"